What an eye-opener! Very pretty for year round, set of 5 plates, 1 salad plate, 1 flat soup bowl, 1 small serving bowl. So sorry, just saw this post, we no longer have these. Will be on the lookout. 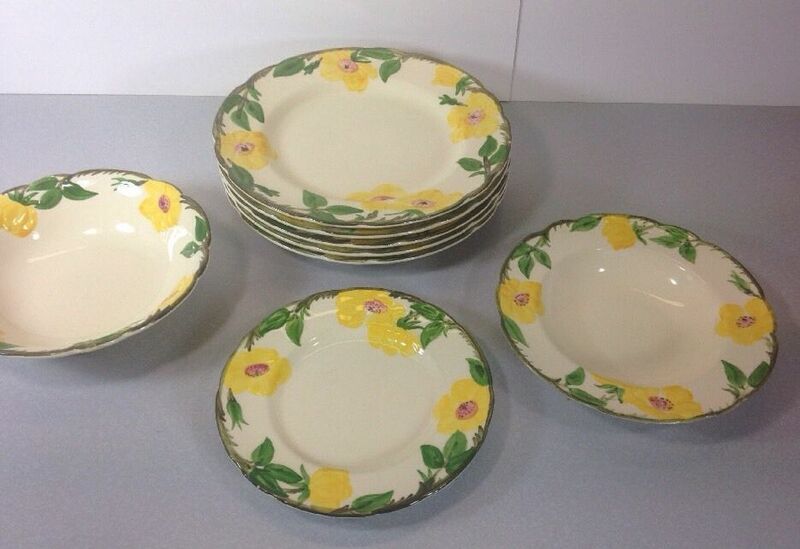 This entry was posted on May 25, 2015 by Robin's General Store in 1970s, Vintage Dinnerware, vintage dishes, vintage kitchen and tagged dinnerware, dishes, franciscan, meadow rose, vintage.